West Winch is a small parish in the West Norfolk Local Government District, and contains the settlements of West Winch and Setchey. It is less that 4km south of King’s Lynn, and has an area of just under 800 hectares. The name ‘Winch’ is thought to derive from the Old English for dairy farm with pasture, and the name ‘Setchey’ may have come from words meaning a sedge covered landing place. Today the proximity of King’s Lynn has resulted in a number of housing estates in the parish, although the majority of the land is still under pasture. The only signs of activity during the prehistoric period are two concentrations of pot boilers (NHER 23170 and 23608) set back from the edge of the fen. However, there have been a number of prehistoric objects recovered from the parish. These include a Palaeolithic handaxe (NHER 18483) Mesolithic flints (NHER 2256 and 2257), Bronze Age pottery sherds (NHER 2260, 2261 and 21809), as well as Neolithic flint axeheads (NHER 3352) and a chisel (NHER 3353). These are thought to emphasise the importance of the Setchey promontory as a crossing place of the river valley during the prehistoric period. Iron Age objects are also rare, and are limited to a small number of possible pottery sherds (NHER 2261 and 23172) and a coin (NHER 28120). However, objects from the Roman period are more numerous, and perhaps most importantly are joined by a Roman corn drying kiln (NHER 2256), a well (NHER 2262) and a ditch dating to the 3rd or 4th century AD (NHER 17312). Objects from the Roman period include pottery sherds (NHER 2257, 17305 and 22011) as well as coins (NHER 17306, 20166 and 23588), brooches (NHER 25069 and 25983), and a dolphin-shaped zoomorphic object (NHER 25465). Although no Saxon period monuments have been recorded, a number of objects from the Saxon period have been discovered. This includes horse harness objects (NHER 3374), and Early Saxon brooch (NHER 25983) Middle Saxon pin (NHER 25069) and coin (NHER 25465) a Late Saxon strap end (NHER 25068), and of particular interest, a Late Saxon Borre-style disc brooch (NHER 25155). Unfortunately no Saxon evidence was recovered during the Fenland Fieldwalking Survey of the 1980s, so little can be said about the development of settlement during this time. However, the settlement of West Winch is listed in the Domesday Book of 1086, and the area appears to have been highly values and in possession of cattle as well as pigs and a salt house. Setchey is not mentioned. 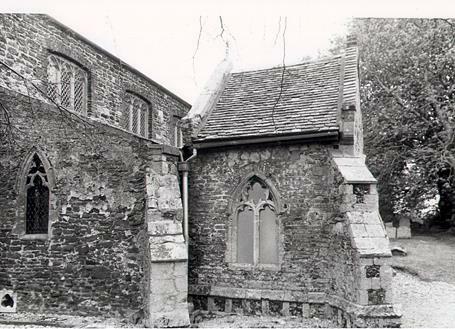 The oldest surviving building in the parish is therefore St Mary’s Church West Winch (NHER 3372), which was constructed around 1300 and has Perpendicular style details encasing the older structure. There is also a Decorated style south porch, and an interesting sundial on the south gable inscribed to Hora Moner in 1706. Other medieval period monuments include a medieval moated enclosure (NHER 3373), as well as a possible medieval saltern mound (NHER 27990), and the sites of a number of watermills (NHER 16805 and 21805) as well as a leper hospital (NHER 14462). Fieldwalking by the Fenland Survey indicates that the focus of settlement reflected these sites and the church, and indicated concentrations of objects on several fields (NHER 3374). Occupation during the 13th and 14th centuries was also noted on the fenward side of West Winch common (NHER 23030 and 23171). Individual objects from the medieval period have also been recovered from the parish, including a large number of pottery sherds (NHER 2277, 23173 and 23612) coins (NHER 37346 and 41332), a 13th century lead seal matrix (NHER 3358), a late medieval finger ring (NHER 3354) and a harness pendant (NHER 25068). Similar objects from the post medieval period have been recorded. A number of post medieval buildings of architectural interest are also noted, and these include St Mary the Virgin’s Church at Setchey (NHER 2287), which was built in 1844 for Daniel Gurney. Also of note is West Winch windmill (NHER 4572), which is a red brick structure built in 1821 and which had paraffin engines installed in 1925. Other buildings of interest include the Bull Cottage and Alehouse (NHER 22805), The Gables (NHER 33852) and the Old Dairy Farmhouse (NHER 33853). Perhaps of even more interest is the fact that during the early 20th century Setchey and West Winch were the site of what may be England’s only mainland oilfield (NHER 12556). The discovery of oil deposits on local watercourses and ponds led to industrial scale quarrying of oil-bearing shale. The site of the main oil refinery was in operation between 1918 and the 1930s, although production was not successful as the oil was found to be irreparably contaminated with Sulphur. The site finally closed in the 1960s, although experimental work continued until 1952.